U.S. companies shouldn’t be able to get patents on abstract ideas when they combine those ideas with a computer process, a lawyer argued in an appeals court Friday. The U.S. Court of Appeals for the Federal Circuit should invalidate four patents held by electronic marketplace Alice because the process described in the patents can be done in a person’s head or with a paper and pencil, argued Mark Perry, a lawyer representing CLS Bank, which was sued by Alice for infringement. Alice’s four patents cover a computerized platform for exchanging obligations in foreign currency trading, but Perry argued the idea behind the patents is too basic to be worthy of a patent. Alice’s patents cover “double-entry ledger keeping,” a skill that any trained accountant has, Perry told the nine judges. “It is abstract, it is simple, it is not complicated,” he added. Some patent lawyers have suggested the CLS Bank v. Alice Corp. case could have broad implications for software patents, because U.S. court have issued conflicting decisions about software patents and computerized processes in recent years. Friday’s arguments, largely stayed away from questions about software patents, instead centering around the validity of Alice’s specific patents. Still, when U.S. Patent and Trademark Office (USPTO) lawyer Nathan Kelley argued Friday that simply using a reconfigured computer to run an abstract idea doesn’t make it patentable, Judge Kimberly Moore suggested that all software basically reconfigures a computer. Alice’s patents describe specific ways a computer is configured to run the company’s trading platform, and contain detailed flow charts describing the process, Moore said. The Alice patents are “so far” from an abstract idea, she said. “What you effectively said is software patents are dead,” she said to Kelley. Kelley disagreed, saying the USPTO’s argument was more narrowly focused on abstract ideas and whether adding a computer process to them should be patentable. 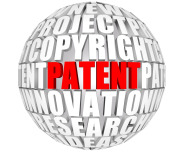 Alice’s patents go beyond an abstract idea, argued Adam Perlman, a lawyer representing the company. The computer process is essential to the patent, he said. When Judge Jimmie Reyna suggested humans could do the process described in the patents, Perlman disagreed. In Alice’s patents, the computer “does not simply speed the underlying calculation,” he said. The patents describe a process that reconfigures a computer, he added. “You can’t just go to Best Buy and buy a computer to do this,” Perlman said. Patents should be reserved for real inventions, not just general ideas, Perry countered. Some people have thought that self-driving cars would be useful, but Google is the company that finally spent the money to create the invention, he said. Google should be able to get a patent on a self-driving car, not a person who thought of a self-driving car without designing one, he added. “There are companies that spend tremendous assets —money, time—to develop real things,” he said.